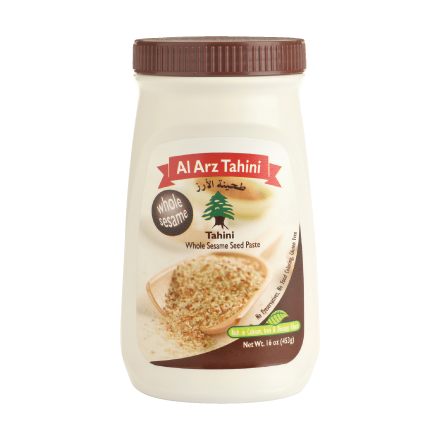 Our Tahini Tahini is a traditional Middle Eastern spread made of finely-ground sesame seeds. 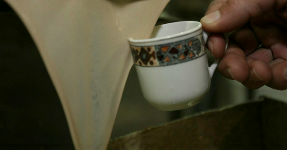 Similar to Hummus in consistency and color, Tahini is often served together with hummus as a dip for pita or vegetables. In fact, Tahini is alsa a key ingredient in hummus itself, infusing its flavor with a distinct hint of earthy grain. Tahini Tahini is a traditional Middle Eastern spread made of finely-ground sesame seeds. Similar to Hummus in consistency and color, Tahini is often served together with hummus as a dip for pita or vegetables. 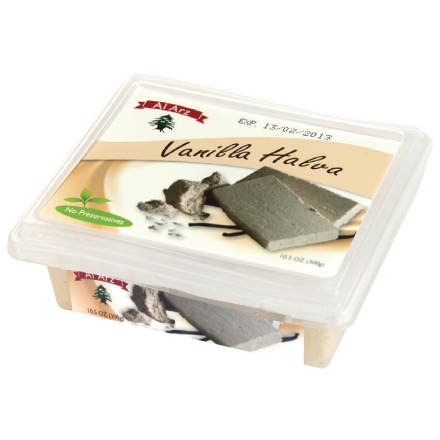 In fact, Tahini is alsa a key ingredient in hummus itself, infusing its flavor with a distinct hint of earthy grain. 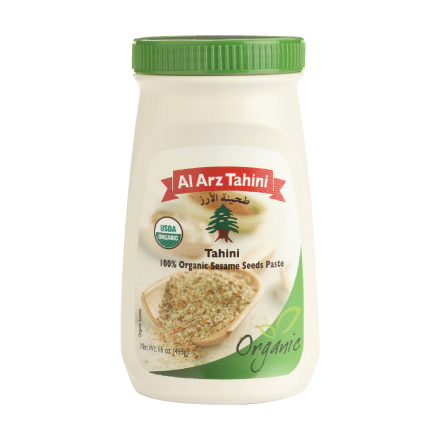 Al Arz Tahini is made solely of sesame seeds: no preservatives, additives, or food coloring. 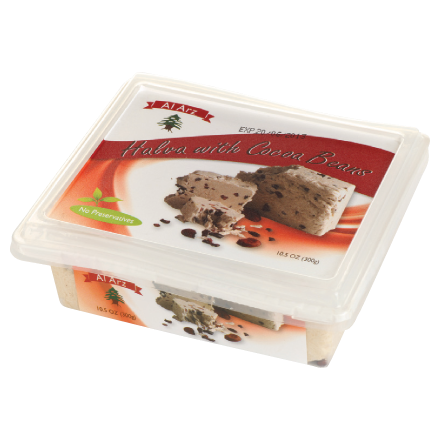 At the same time, the product has a shelf life of an entire year, no refrigeration required. 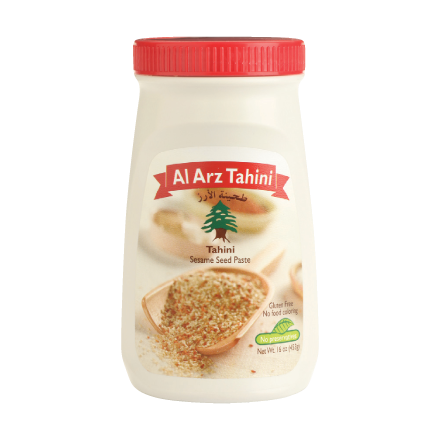 Rather than buying ready made, refrigerated Tahini, the customer can keep a jar of Al Arz in the pantry, making the desired amount by adding water, lemon juice, and herbs or spices according to the personal taste. 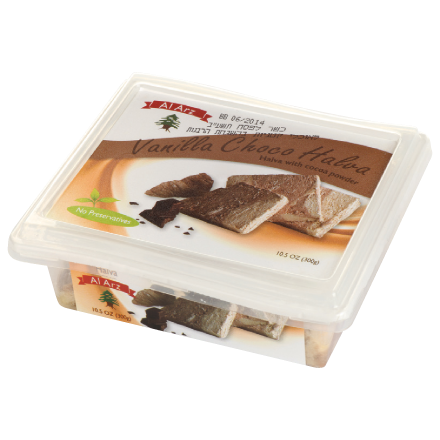 Convenient, affordable, individualized, and Kosher by Parve and Hallal certification, our Tahini is the .ideal snack for all lovers of the Middle Eastern flavor. 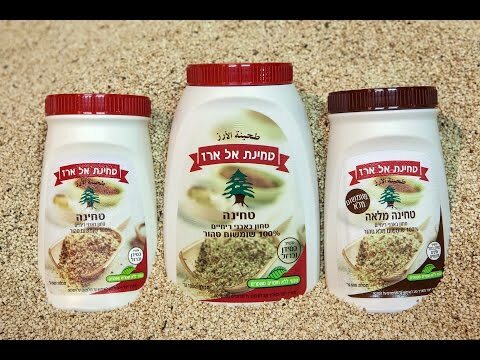 ממיסים את המרגרינה ומוסיפים את הטחינה הסוכר והקמח. 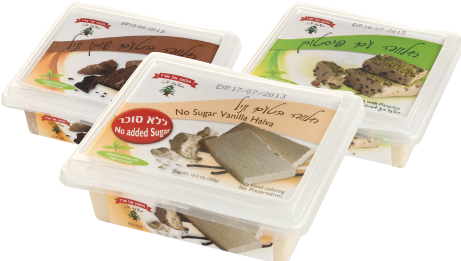 לשים ביחד עד קבלת בצק. מרדדים וחותכים לפי צורות, אופים בחום של 180 מעלות במשך 10 דקות. .